Energy is changing so fast it’s a little dangerous to make predictions. But three ideas are emerging in the US that warrant a close look given how profoundly they could reshape both microgrids and the macrogrid in 2019. The first and potentially biggest is the Green New Deal, a political concept being pushed by some Democrats in Congress. 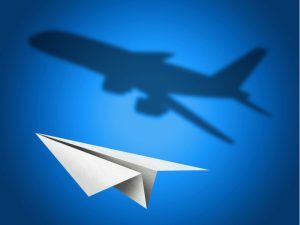 Still very much a work in progress, the proposal draws from President Franklin D. Roosevelt’s New Deal of the 1930s, a government program designed to boost the country out of the Great Depression. The New Deal generated economic activity with government infrastructure improvements. The Green New Deal would update US energy infrastructure to a green standard. So it would be an obvious boon to renewables, energy storage and electric vehicle charging. And by extension microgrids would gain as a means to combine, organize and optimize these technologies. As conceived, the Green New Deal isn’t just an incentive program for renewables, of which we’ve seen many. Instead, it shifts the position of energy — green energy— making it a higher national priority. Today, energy is thought of as an economic input; e.g. natural gas prices rise, bumping up manufacturing costs and upping the price tag of consumer goods. Under the Green New Deal, however, energy’s role becomes enlarged, conceptually not just a fuel for production, but the product itself. Changes in the US power industry often happen at the local level. So it wouldn’t be surprising if the New Green Deal turns out to be many New Green Deals, likely starting in New York, New England and California. Stay tuned. Coming just off Hurricane Maria and its devastation to Puerto Rico, 2018 was all about attaining grid resiliency, the ability of an electric system to recover quickly from a catastrophe. Grid resiliency is closely related to grid reliability — keeping the power flowing and avoiding blackouts. 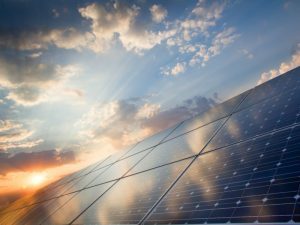 Microgrids offer both of these benefits. But now a third benefit is increasingly discussed. Watch for ‘grid flexibility’ to be the microgrid term of 2019. Grid flexibility describes the ability of an electrical system to balance supply and demand under uncertainty. Microgrids do that. Renewable energy offers a lot of benefit to the electric grid, but it’s one downside is that it creates uncertainty for the macrogrid. A cloud passes overhead and solar panel output diminishes. The same happens to wind turbines when the wind slows. Grid operators employ various means to make up for the loss, such as fossil fuel generators or demand response. Often, the response has to be fast. 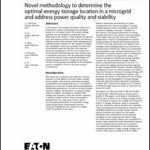 Too often microgrids are wrongly perceived as mere back-up generators for use during a power outage. But they are much more because they run even when the macrogrid is operating fine, providing price arbitrage, carbon reductions, ancillary services and other benefits. 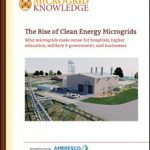 As grid flexibility becomes more popularized in energy lexicon, awareness is likely to grow that microgrids are a technology that offers benefits 365 days per year — and we’re likely to see many more of them installed. Early microgrids were largely customized projects — expensive and slow to build. That’s changing as developers find ways to standardize and pre-fabricate components. Complex microgrids are being installed in a matter of months, not years. But it’s still not fast enough for an industry that sees immediate worldwide opportunity for its product. So companies — both large and small — are coming up with various versions of modular microgrids, also known as containerized microgrids, microgrids-in-a-box, microgrids-in-a-day and various other terms that denote a quick-to-install product. Expect to see the industry putting increasing emphasis on refining and promoting modular microgrids in 2019. If you are old enough, think of this as the changeover from the computers of the 1970s that filled a room to the desktop and laptop of today, an achievement that opens a market wide.